I am sure by now you are all well aware of my addiction to cosmetic and beauty products. I love to try it all, but I will only actually stay with the best. One of the brands that I LOVE is Sally Hansen. 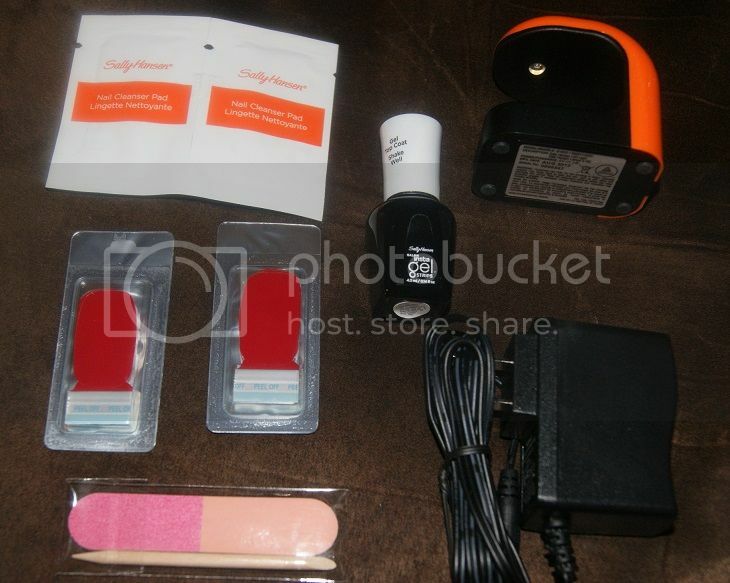 Not only is Sally Hansen affordable and readily available almost everywhere, it is also very good quality. The products always look great, wear perfect and last long. I am always super impressed with every Sally Hansen Product I try. So obviously it was no surprise when I tried some of their new products that I fell in love. I am obsessed with Lip products. I have at least twice as many that I have other products. I can never have enough. I love trying new ones and finding better wear, shades etc. 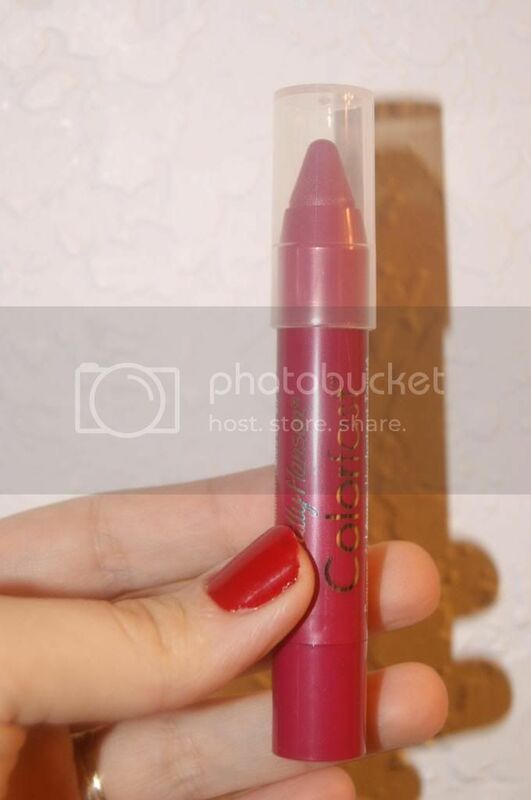 I tried Sally Hansen's New Colorfast Tint + Moisture Balms, and they are INCREDIBLE! 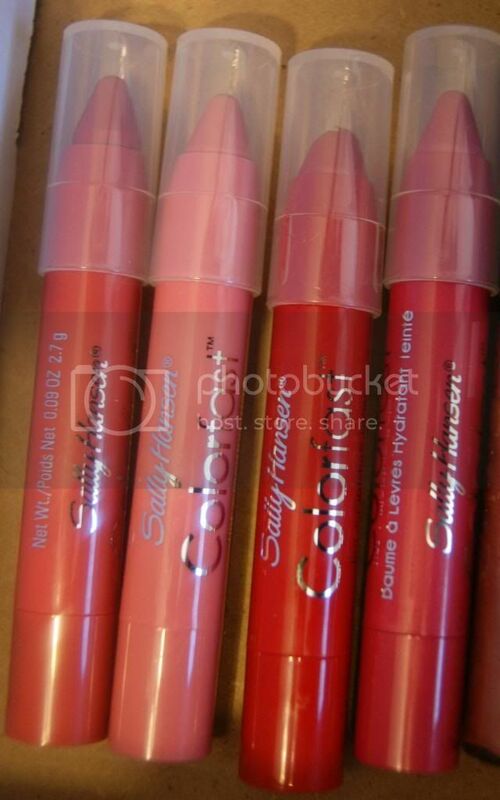 These amazing tinted lip balm fat pencils come in 10 wonderful colors. I tried 4 so far, and they are all gorgeous. This is a lovely berry pink color. The slight shimmer is wonderful, and the shine is amazing for a balm. I love how it is sheer color, but not too light. 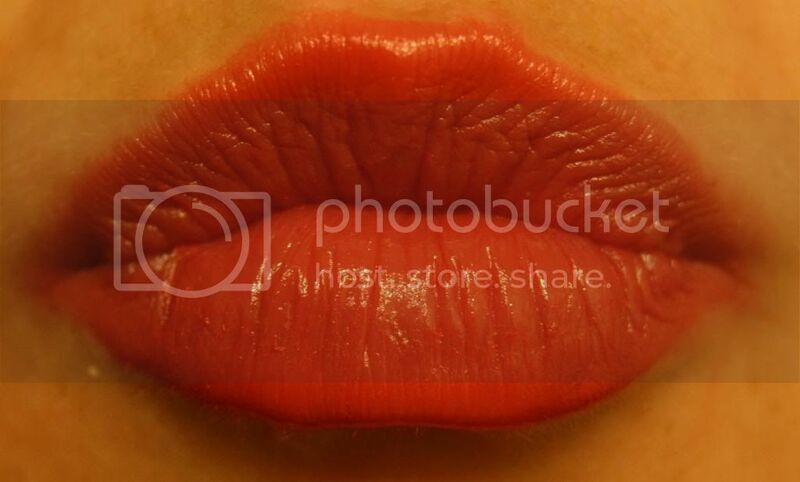 I hardly ever wear red lips, but have tried my share of red shades. Most I do not care for, but I actually LOVE this one. 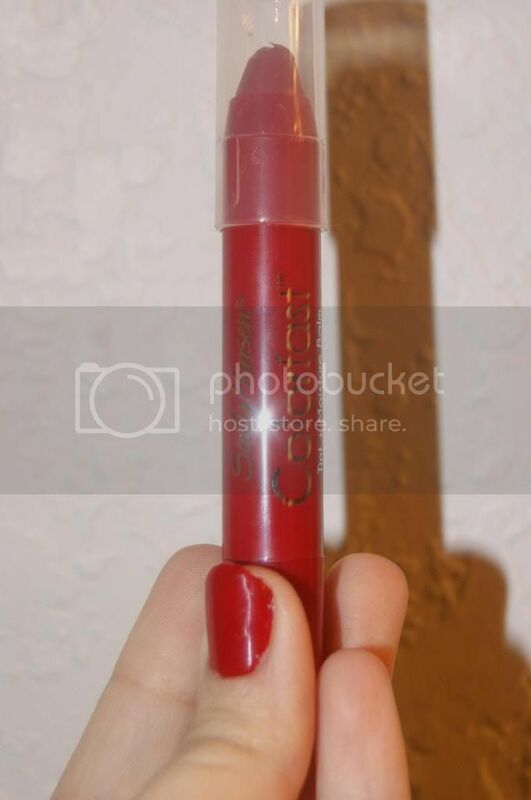 Probably the best shade of red(for me) that I personally have tried. The fact that it is so light(in consistency) and sheer with the slight glossy shine is perfect. 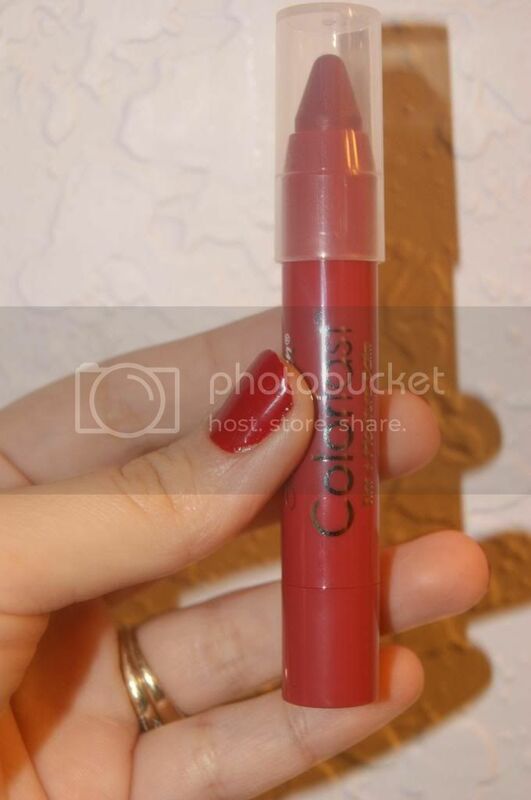 This is the lightest shade that I tried. It is so natural and feminine. 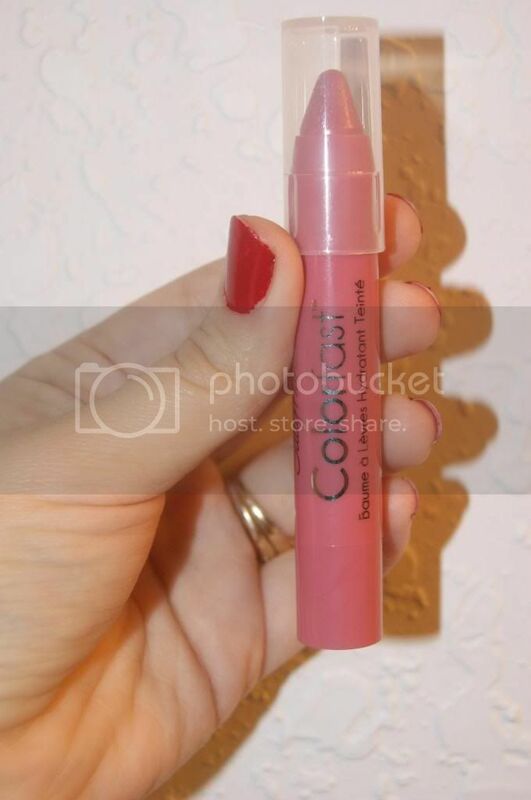 It is perfect to add just a touch of color and shine(while moistening lips) without looking too made up. This would be great or younger girls too who want to wear color but that don't need to wear makeup yet. This balm is nourishing and colorful, making it a win win. 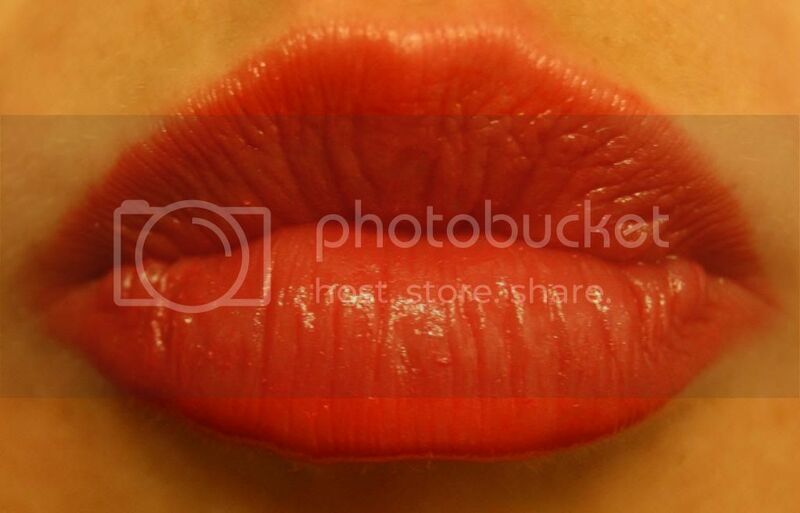 This is a reddish tinted spice color. It is a little more opaque than the others, but still had a great light look(and feel) and a nice shine. I really like this color. I think this will be perfect for when I want more of a lipstick type full color while still caring for my lips with incredible moisture. I love all of these Moisture Balms so much. I have got to try the other colors. I will be wearing these all the time. I usually only wear cosmetics to go somewhere, but these will be a part of my daily routine. 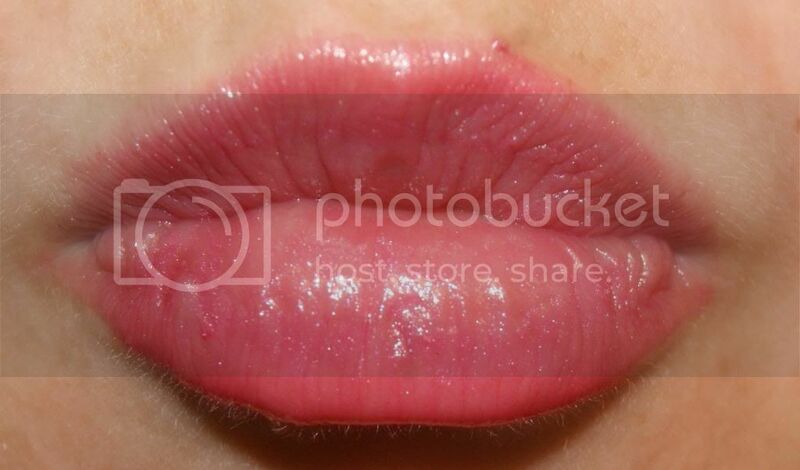 How my lips can look great while I am improving them. But of course what kind of product is Sally Hansen really known for? NAILS!! You will probably be shocked when I say that I have not done my nails in many years(8+ years? I can't even remember). 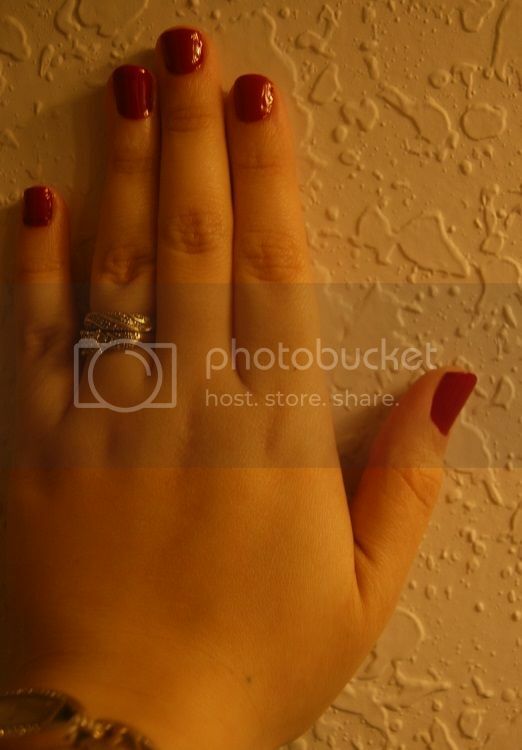 The last time my nails we even done at all was at least 7 years ago(I had them done at the nail salon sometimes). 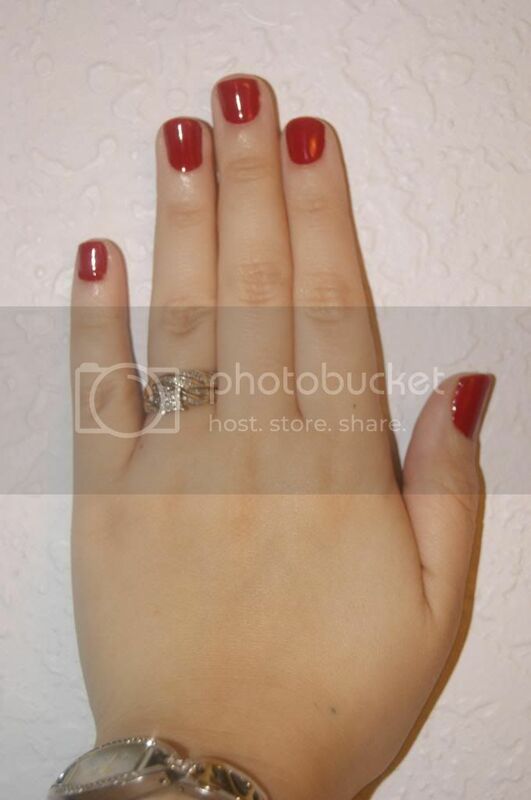 They were not even done for my wedding because I ran out of time to get them done, so I just never did. Needless to say, having ugly nails all the time is no fun at all. I have been wanting to do them myself again forever, but I was never even very good at it back in the day and after being out of practice so long, I was worried they would look terrible. I decided to try it anyway, so of course the brand I wanted is the one that I trust, Sally Hansen. 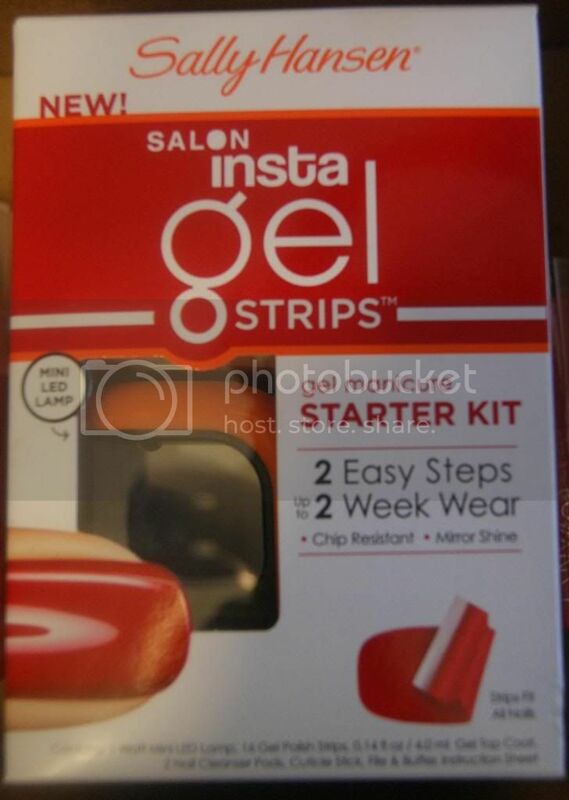 I tried their new Salon Insta-Gel Strips Starter Kit in Red My Lips. These were easier to apply than I expected. You just peel a strip and smooth it to your(clean, dry) nail. Smooth it down good and use the smooth(light pink) side of the file to file away the extra. Then you add the top coat(to only one nail) and hold your nail under the LED light for 30 seconds(the light even times itself). Repeat for each nail. Then wipe them all with a nail cleansing pad and viola. A perfect Gel Manicure. For me being so completely out of practice and having never used strips before, I think they came out really great. I am really happy with them. They are super durable and have not chipped or anything. I love these Gel Strips. I am dying to try the other colors and get better with practice. Soon my nails will look better than ones from the salon. Sally Hansen is perfect. I think that any woman should own at least one Sally Hansen product, but once you try them, one will never be enough. Love Sally Hansen Products! especially the the chunky lip colors!! Thanks for your review!